Which States Are The Best At Prosecuting For Animals? Last week, Virginia Attorney General Mark Herring burnished his pro-animal record when he established an Animal Law unit in an attorney general's office. The unit will serve as a resource for local law enforcement and state agencies on animal fighting and animal cruelty prosecutions, providing the expertise and firepower to bring those responsible for animal cruelty, suffering, and abuse to justice. For the unit's first project, it's partnering with The HSUS to reach out to Virginia pet stores as part of an effort to crack down on puppy mills. In New York, Attorney General Eric Schneiderman has launched an Animal Protection Initiative to shut down criminal animal fighting rings, protect consumers from unscrupulous pet sellers, and prevent other forms of cruelty to animals. Just last month, Schneiderman secured felony convictions in the case of two men who ran the largest known cockfighting ring in New York history, and he specifically requested that their guilty pleas include bans on them owning animals in future. 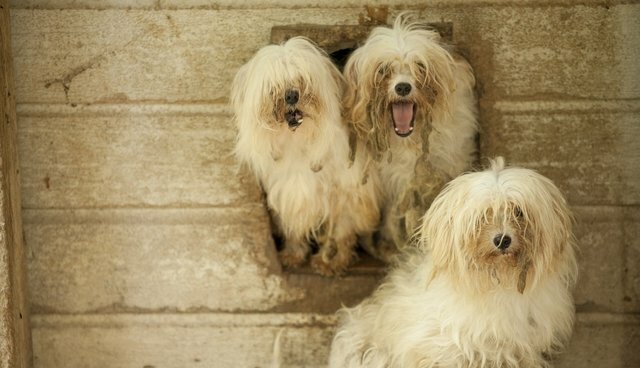 In November, Schneiderman wrote to all of New York's 1,034 municipal and local governments offering to help them draft enforceable laws to crack down on puppy mills and the pet stores that sell dogs and cats from mills. In Florida, Attorney General Pam Bondi has made animal protection a serious priority. Last July, she shut down a Jacksonville puppy mill and puppy importer, who had been hawking sick English Bulldog puppies to unsuspecting sellers over the Internet for as much as $2,300 a puppy. She's strongly supported decoupling greyhound racing and casino-style gambling, and also supported legislation to require greyhound tracks to report injuries (greyhound euthanasia rates have fallen sharply in states that have adopted injury reporting laws). On a personal level, Bondi brings an adoptable shelter dog to every cabinet meeting to promote adoption. And in California, Attorney General Kamala Harris has defended a series of pioneering animal protection laws. Alongside HSUS attorneys, she's now been on the winning side of four separate challenges to Prop 2 and AB 1437, California's new farm animal welfare laws that went into effect earlier this month. (Unfortunately, a court recently overturned California's pioneering ban on the sale of force-fed foie gras, though we're hopeful that Harris will appeal that ruling.) And, drawing on the work of the HSUS Animal Protection Litigation division, she successfully defeated a challenge to California's ban on the possession and sale of shark fins, which has helped us crack down on the brutal practice of shark finning. But unfortunately, a few attorneys general have taken decidedly less animal friendly positions. In Missouri, Attorney General Chris Koster stumped for his state's "right to farm" amendment, which could prevent regulation of puppy mills and factory farms (it passed by a whisker, by a mere 0.2 percent of the vote). He also sued California to try to strike down AB 1437, a law banning the sale of eggs from hens confined to inhumane battery cages. Five other attorneys general signed on to his complaint. Thankfully a court saw through their false claims that they were representing all the people of their states and dismissed the lawsuit after finding that they were really representing just a few egg producers. The failed lawsuit, which Koster said would cost less than $10,000, ended up costing Missouri taxpayers more than $83,000. The (dis)honor of the nation's least animal friendly attorney general, though, must surely go to Oklahoma Attorney General Scott Pruitt – one of the officials who signed on to the Koster lawsuit and is now engaged in a witch hunt without warrant. For the last year Pruitt has been harassing The HSUS, apparently on behalf of the Oklahoma Farm Bureau, which opposed our successful campaign in Oklahoma to outlaw cockfighting. We also defeated a Farm Bureau-backed ballot measure that would have been a de facto ban on any future animal-welfare ballot initiatives. Especially after those two electoral wins, the Farm Bureau has opposed our efforts to crack down on puppy mills, horse slaughter, the exotic pet trade, factory farming, and just about every other animal welfare issue you can think of. While Pruitt has apparently not found the time to bring any major animal cruelty prosecutions in tenure in office, nor to advocate for any pro-animal welfare positions, he's found time to give a series of speeches and interviews to the Oklahoma Farm Bureau attacking The HSUS, making false and specious claims in the process. It's important to note that Pruitt launched this attack on The HSUS even though he's never received a complaint from any HSUS supporter in Oklahoma about our efforts to protect all animals. While Missouri's Koster is taking policy and enforcement actions inimical to animal welfare, Oklahoma's Pruitt is doing that and more, using his office in overreaching and out-of-line ways. He's using the power of the state to target his political adversaries and trying to smear them on behalf of special interests whose favor he's courting. It's an abuse of power, and it's the same sort of activity that so many conservatives rightly decried when they claimed that the Internal Revenue Service tampered with Tea Party organizations filing for federal charitable status. And more broadly, it's a set of actions that is starkly at odds with the work of the nation's law enforcement community, which acts with respect toward the values of animal protection and the groups doing the heavy lifting.